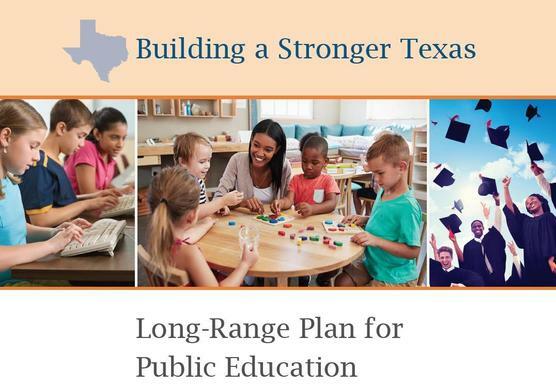 Join the State Board of Education Jan. 30 for the Learning Roundtable: Building a Stronger Texas, a free one-day conference at the Austin Convention Center. “We want to bring the visions and recommendations found in the newly adopted Long-Range Plan for Public Education to life by highlighting the great work and student successes already happening in many areas of the state. Those programs can serve as role models and inspirations for other districts and charter schools,” said Donna Bahorich, chair of the State Board of Education. This year’s conference focuses on three topics from the Long-Range Plan. Those are equity and access, family engagement and empowerment, and student engagement and empowerment. The fourth topic adopted in the plan – educator preparation, recruitment, and retention - was covered in last year’s conference. Speakers this year will discuss topics such as engaging and educating families through Parent University; using technology to provide equitable access to training, classes, and programs; and using multiple systems of support to assist all students and help students through a crisis. Advanced conference registration is strongly encouraged. Meeting space is graciously provided by the TASA Midwinter Conference. Register for the conference online at https://www.eventbrite.com/e/learning-roundtable-building-a-stronger-texas-tickets-53690653189. Long-Range Plan Vision: All families are actively involved in their students’ education at all levels. Long-Range Plan Vision: Equity and Access means that all children get what they need to learn, thrive, and grow. Long-Range Plan Vision: All students are actively engaged in and equipped to be invested in their own academic and personal growth to achieve educational, civic, financial, career, and interest goals. Moderator: State Board of Education member Lawrence Allen, Jr.
Want to help a Texas school system affected by Hurricane Harvey? Click here to find out how.